Delivering messages is a very important and necessary thing in running your e-Commerce business. Sometimes you need to send an email to a lot of customers. It can be hundreds or even thousands of them. To do it in the right and clever way we would like to look at our extension “SMTP”. SMTP stands for Simple Mail Transfer Protocol. 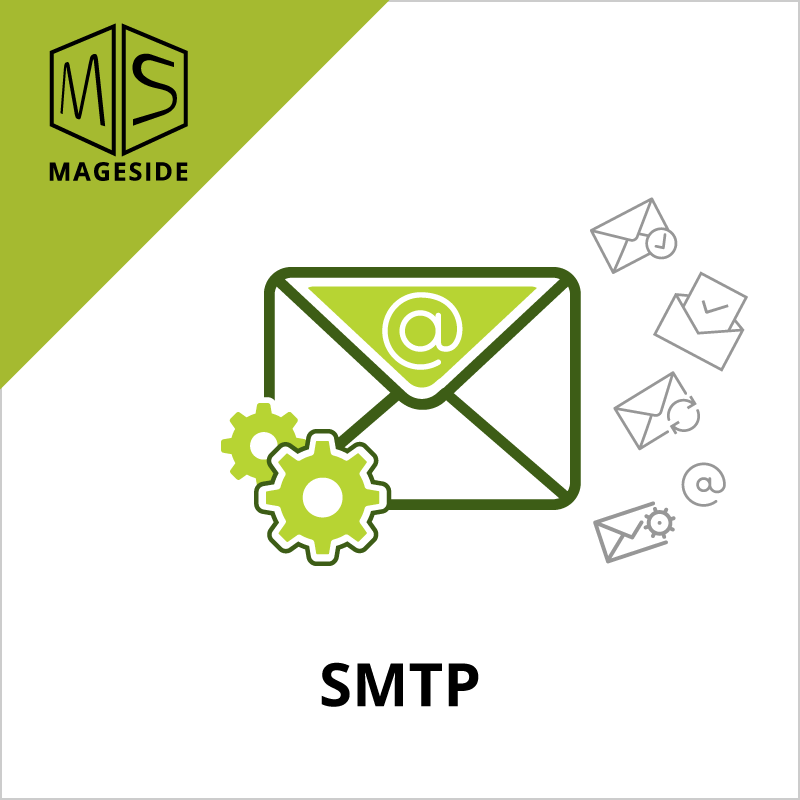 The SMTP extension is a good way of sending out emails using such SMTP provider as Gmail, GMX, Mailgun, Zoho etc. 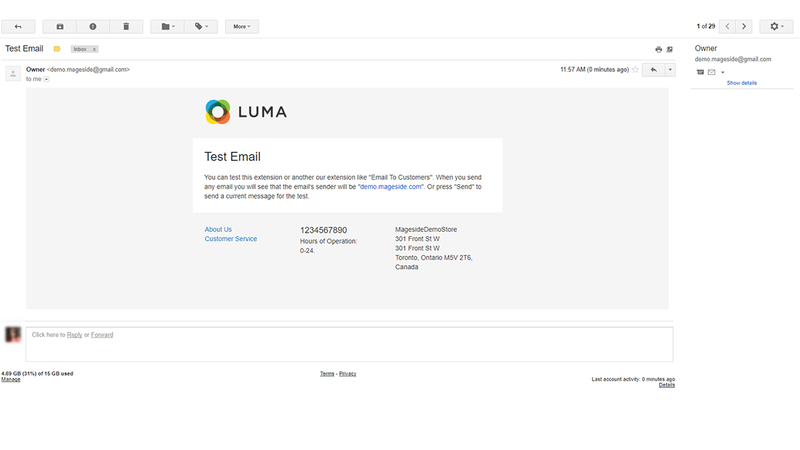 With the SMTP module, you have higher chances to send an email right to the customer’s range of vision not to the spam folder. The extension helps you to use any third-party SMTP server for your Magento store and configure all necessary settings. Of course, you can use such stable SMTP servers as Gmail or Yahoo to help email get right to the customers. 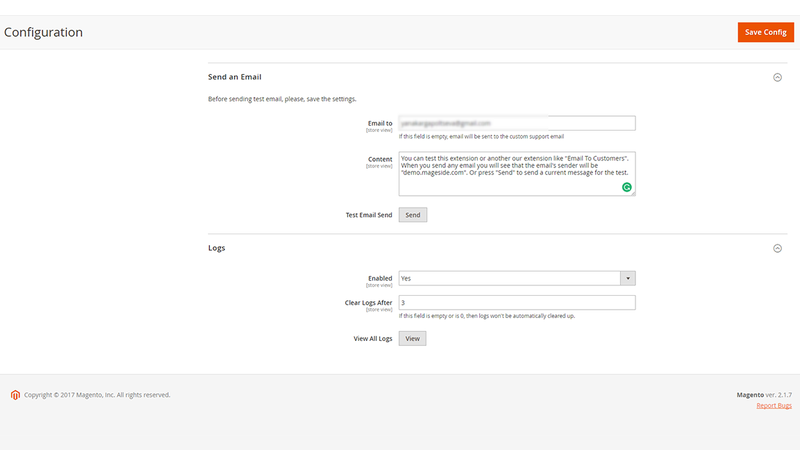 Our extension has pre-defined data autofill option, all you just need to do is select an SMTP provider and other fields will be filled automatically. 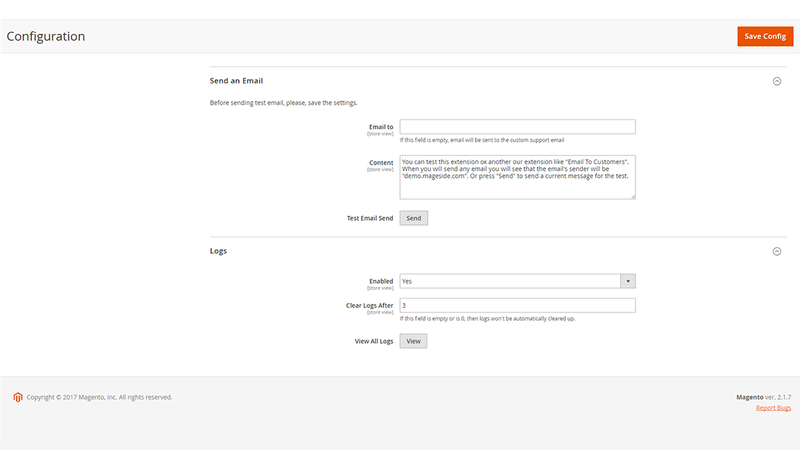 With the help of SMTP module, emails will be sent easy and quickly. As long as SMTP mail server is working, you can expect that emails will be sent very quickly to recipients. 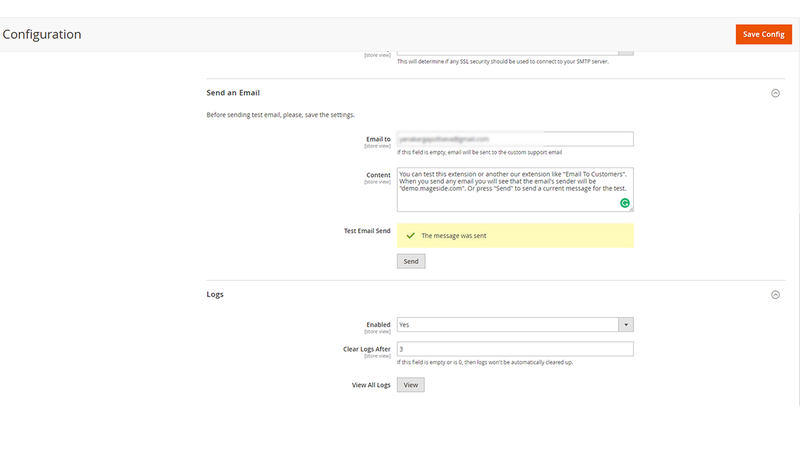 SMTP email settings extension lets you log all the messages sent from your store. 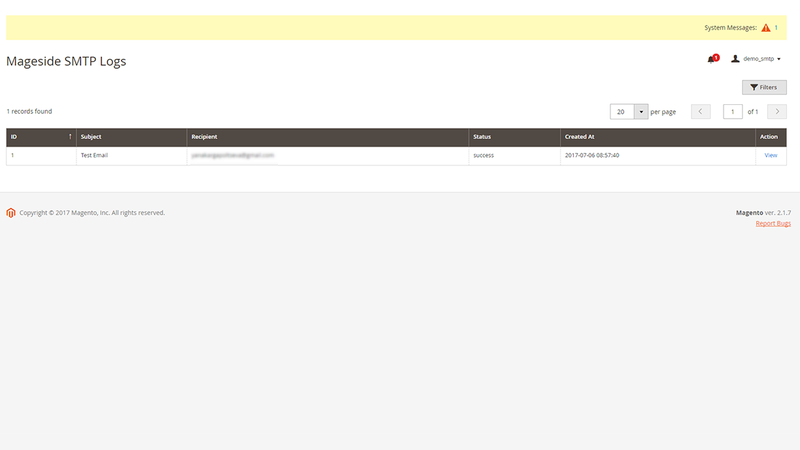 You can view the status of email when it was sent etc. 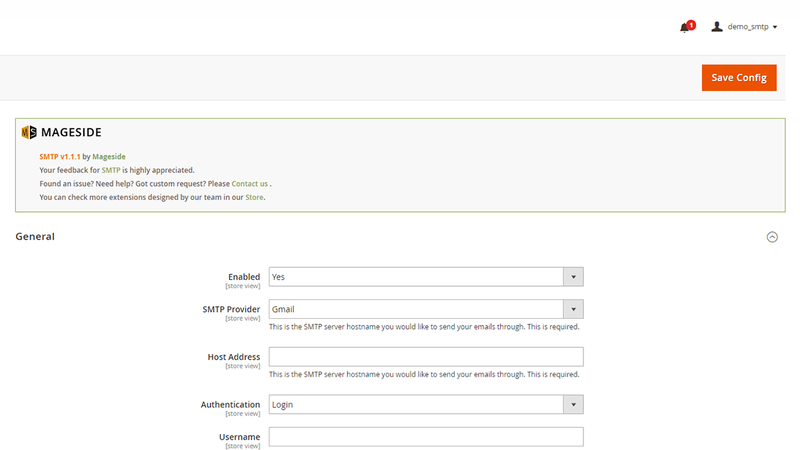 You can check SMTP connection by filling the data in the fields of SMTP settings and click to check the SMTP connection. If it is no connection you’ll see an error message. Great to have Mageside SMTP, for its logging of all custom emails in Magento2, whether they were successfully sent or errors prevented their delivery. We could test and reconfigure to a new smtp server when a deprication of TLS v1 needed for PCI compliant. Our client loves the customized and branded emails we were able to implement as well as the ability to review any failed emails when providing customer service. I made a mistake in the port number and wrote an email. They helped me quick and figured out that it was a fault in the port number. 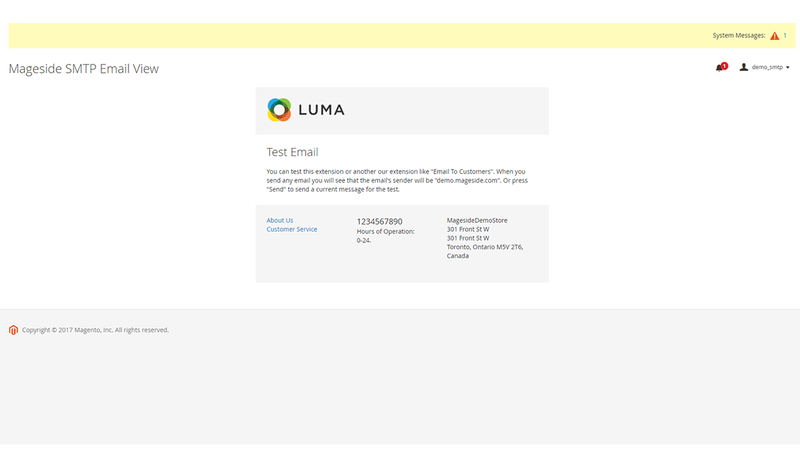 Extension works fine and i now have a good score in the mail analyser.